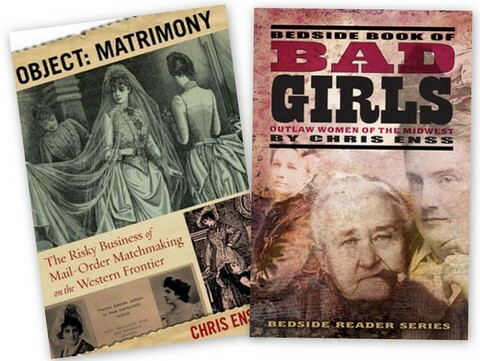 Two new books focusing on some of the naughtier side of the Old West in "The Bedside Book of Bad Girls" and her look at frontier mail-order brides, "Object Matrimony". One of the first books that I remember reading, just after I had seen the actual tiny doll that Patty Reed secreted in her pocket. The story of the Donny Party as told from the point of view of this hidden friend is a wonderful introduction to Western history.